You barely notice his 29 years. When he talks about bikes, what he likes and does a lot, his eyes light up. 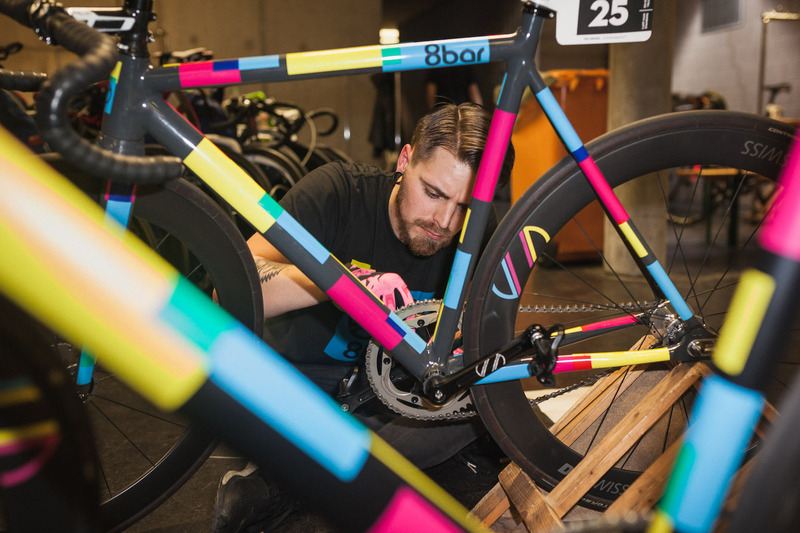 For him, bicycles are not just for transportation or commuting, bikes are a statement and central element of a certain lifestyle. He calls his currently five bikes as roommates. Once there were 7, but even for Chris, that was a bit too much. Now he proudly says that each of his bikes has a specific purpose. 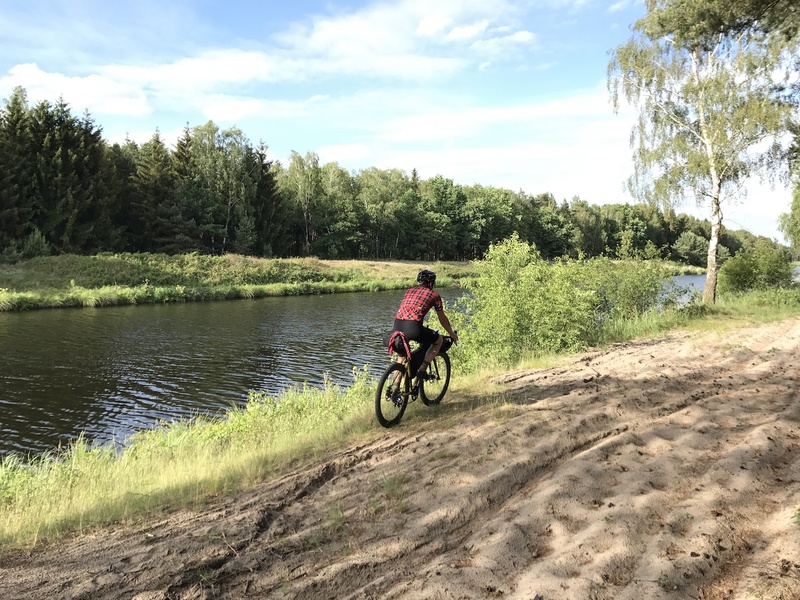 His passion for bicycles started with a skateboarding accident when he was a teenager, in which his knee was so injured that he switched to cycling. 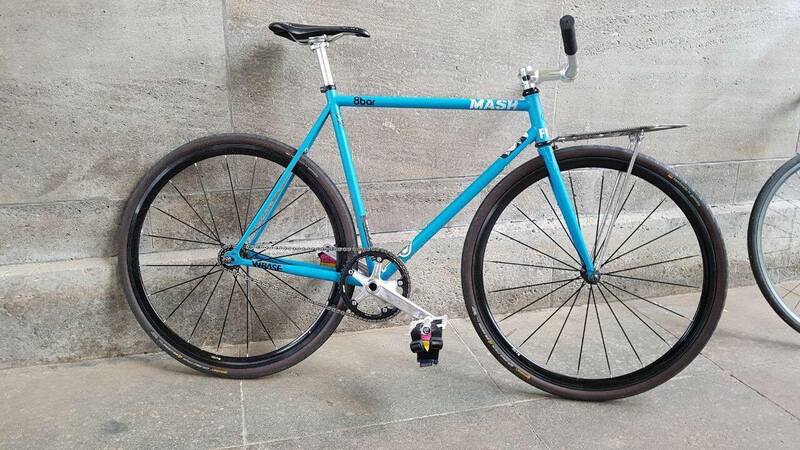 With the movie “MASH SF” and the first fixie rides and races together with “FXD Nostra”, the crew he joined back then, his passion for bikes was completely ignited. Early on he met Stefan, founder of 8bar bikes. During this time Stefan rode the first prototype of the 8bar KRZBERG. Over a small, fine test ride and the classic techtalk the two came quickly into conversation and a special friendship developed. Sure, that shortly after Chris’ first 8bar bike was added to his bike pool. 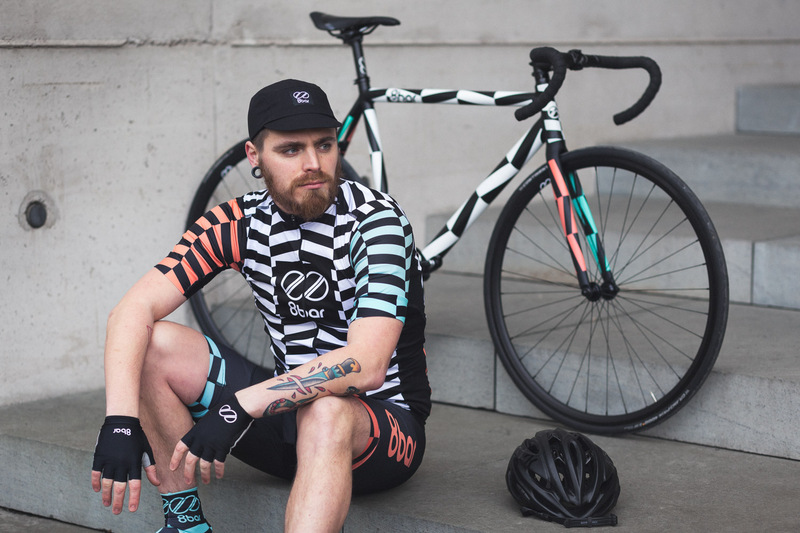 Chris also participated in a few well-known fixed gear races like the Red Hook Crit but he discovered real quick that competitive races wouldn’t become his kind of thing. He just wants to ride where he wants, as fast as he wants. He doesn’t want to compete with others, but simply experience the well-known feeling of freedom on the bike. Nevertheless he doesn’t want to quit with the fixie race circus. 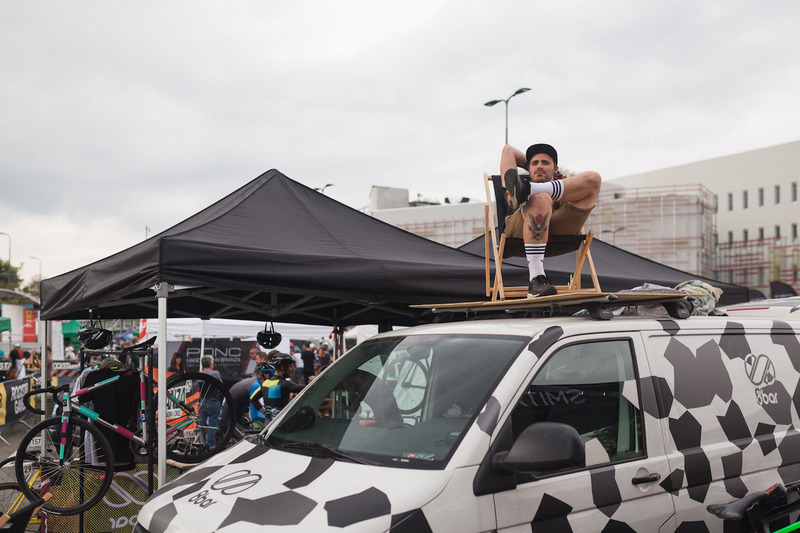 As the 8bar team’s kitman, he stays close to the international racing scene and the fixed family, who meets at every race and has a good time. “The cool thing about being a kitman? 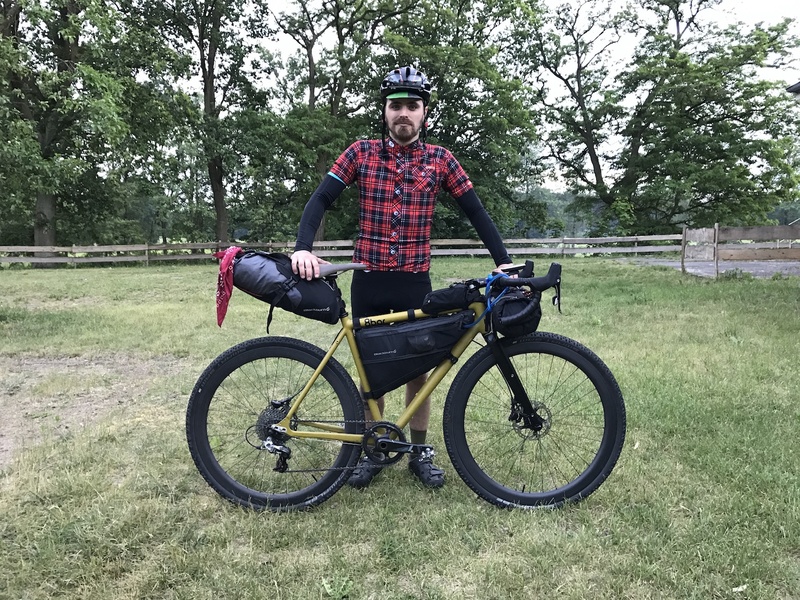 His new passion: Bikepacking! He recently built an 8bar MITTE, which will accompany him on his short trips to the countryside from now on. If Chris can not be reached, then he is probably back in the Berlin area and looking for the perfect place in the middle of nature to set up his bivouac. That’s exactly his thing! 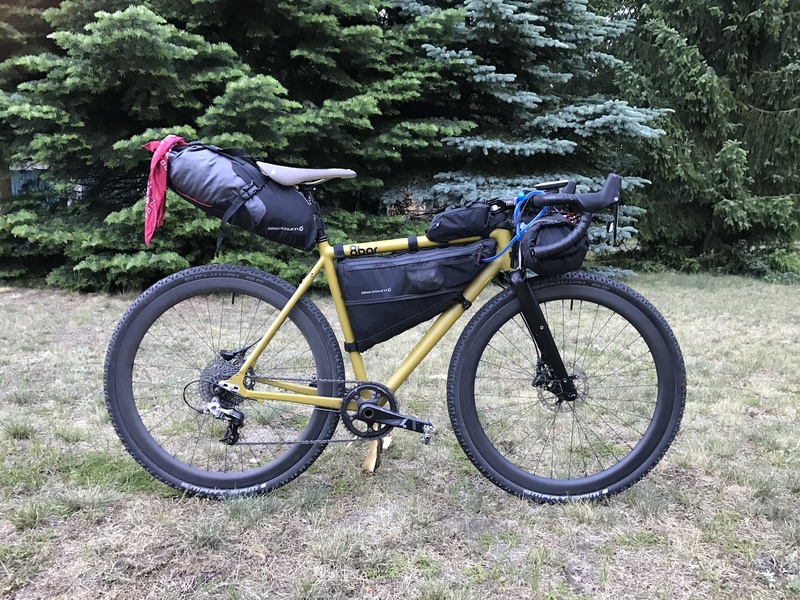 everyday life, commuting, bikepacking, gravel trips and cross camping.